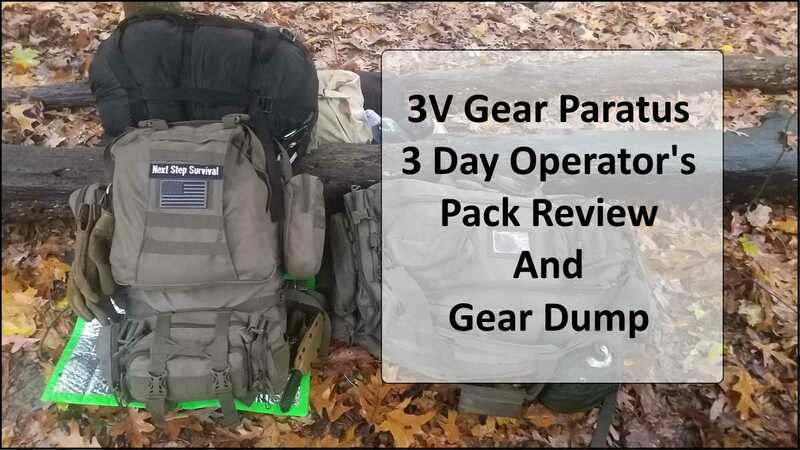 This post and video is my honest gear review on one of my first tactical backpacks – the Paratus 3 Day Operator’s Pack by 3V Gear. I took the pack out on a little weekend adventure and decided to record a quick gear review video for you while I was enjoying the trail. As I mentioned, the Paratus 3 Day Operator’s Pack was one of my first tactical packs and it’s still going strong after two years. 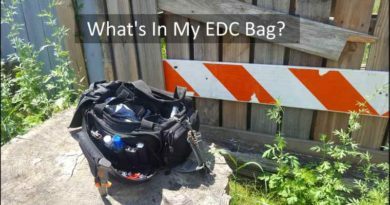 I’ve used this pack as a bugout bag, get home bag and a 72-hour bag. The Paratus has been on a lot of trails with me, as well as off-trail on several overnight hammock camping trips. I’ve covered a lot of ground with this backpack and put it through the ringer. It’s as sturdy today as the day I bought it. My complete review is in the video below so I’ll post the pack details, pros and cons, as well as links to the gear mentioned below the video if you prefer to read rather than watch. The Paratus 3 Day Operator’s Pack is durable. I have to say, the biggest pro about the Paratus is how well it stood up against my abuse over the last two year, especial the first year I owned it. I try to take good care of my gear and equipment but I’m not exactly gentle with it either. 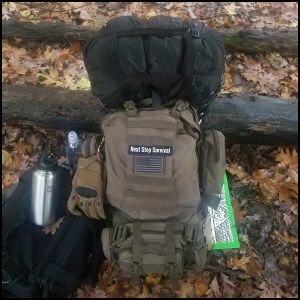 I’m a big believer in putting my gear, and myself, to task when training and that’s exactly what I did with the Paratus 3 Day Operator’s Pack. Not a single seam ruptured, no straps or buckles broke, and everything inside stayed dry and protected. It’s comfortable. The Paratus backpack is well balanced and holds a lot of weight without breaking you down. The shoulder straps are padded and adjustable. The sternum strap has a stretchy elastic section that helps with comfort. That’s a nice touch 3D Gear. The backing has a rubberized padding and holds well without slipping while you’re moving around obstacles or hiking uneven ground. Two side MOLLE pouches included. The Paratus 3 Day Operator’s backpack includes two removable MOLLE side pouches. 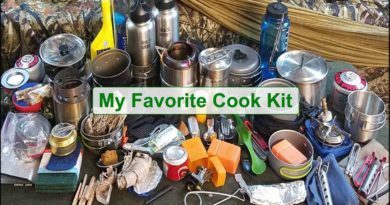 The pouches are a decent size and easily holds my cook kit and first aid gear. The rapid deployment pack is included. This is a nice extra 3V Gear included with the Paratus. This deployment pack attaches with MOLLE straps and comes with its own heavy duty waist /shoulder strap when removed and used separately. When attached to the backpack, the strap stores nicely behind the rapid deployment pack. It has two zippered side pockets and two zippered top compartments with a bit of organization. This is a big plus for the Paratus 3 Day Operator’s pack in my opinion. Hydration bladder compatible. If you carry a hydration bladder you’ll be happy to learn this backpack has you covered. The large main compartment has a sleeve for the hydration pack with a closed hole for the bladder tube to feed through. Top and bottom attachment devices. The top of the backpack comes with two D-rings to attach your sleeping bag, bedroll or sleeping pad. The bottom comes with two attachment loops sewed in (I’d prefer four loops) to attach gear on the bottom of the pack. Available in several colors. You can get this pack in several different colors: Olive drab (My favorite color), black, foliage grey, khaki, and coyote. Lifetime warranty. The Paratus 3 Day Operator’s Pack comes with a 100% lifetime warranty. It’s always nice when a company like 3V Gear stands behind their products but I doubt you’ll need to use the warranty. Uneven MOLLE webbing. As I mentioned in the video, the MOLLE on the back of the Paratus 3 Day Operator’s pack has inconsistent widths and sizes. That’s due to the angle cut for that MOLLE section and it’s tough to attach additional MOLLE pouches if you need the end loops. To me, this is not a deal breaker but it can certainly be frustrating. That’s really the only drawback I can think of when it comes to this backpack. ☑ Uses 600D PVC nylon backed polyester with molded EVA for structure. ☑ Main compartment: 20”H x 12”W x 5.5”D (1320 cubic inches). ☑ Top front: 13”H x 12”W x 3”D (468 cubic inches). ☑ Two detachable side MOLLE pouches: 5”x 2.5”x 8” (100 cubic inches). ☑ Rapid Deployment Pack: 432 cubic inches. ☑ Waist belt extends to 52”. ☑ Overall pack size: 2,420 cubic inches. Based on my own personal experience with this backpack, I have to say the Paratus 3 Day Operator’s Pack is a great choice for someone looking for a quality backpack for an affordable price. There are certainly better packs out there but the Paratus offers quality and a great price. That’s a big deal in my world and I believe this pack is worthy of your consideration. 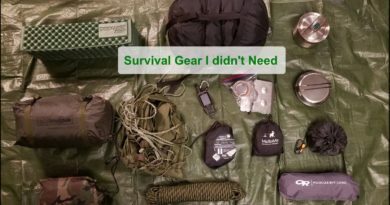 I hope this gear review helps and feel free to ask any questions or leave a comment below.